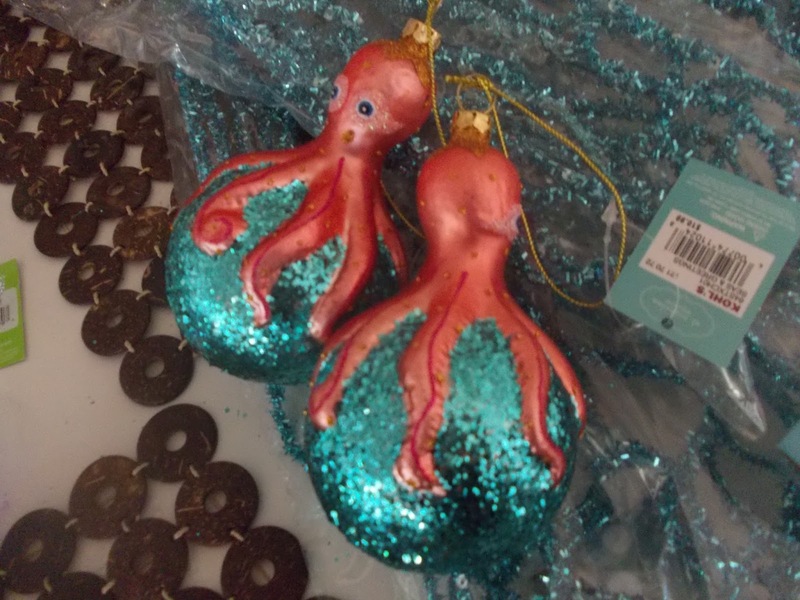 I don’t think that I’ve ever purchased this many tree ornaments in a single season before. 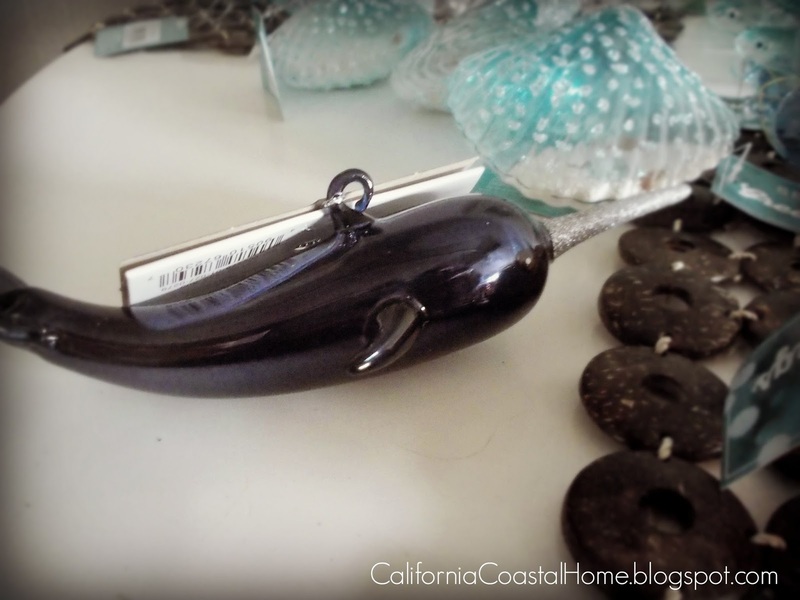 Usually I use my clear/white/silver ones and maybe add a few new DIY ones for fun. 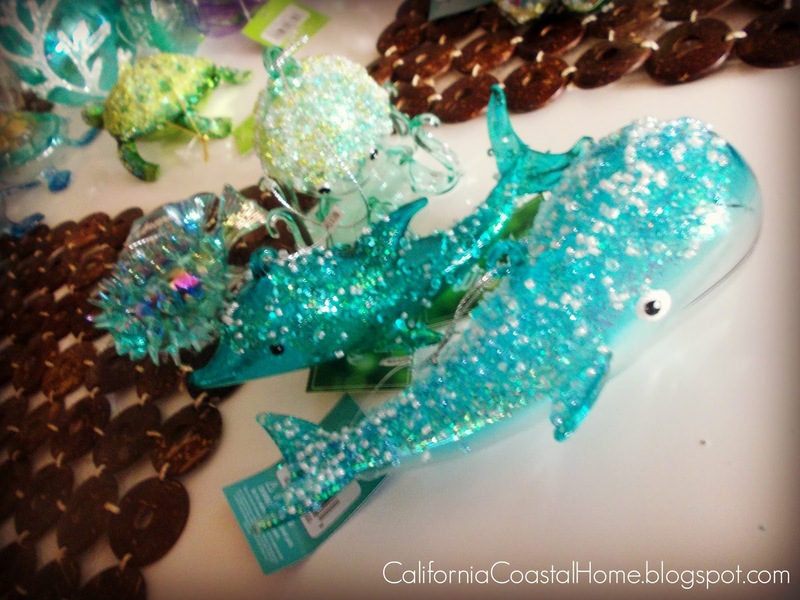 But I could not stop obsessing about the aquatic tree last year from Roger’s Gardens. By obsessing, I mean thinking about it all year! (I am so weird) I knew I wanted to create my own version, but the ornaments at Roger’s Gardens are $40.00 or more each, yikes! 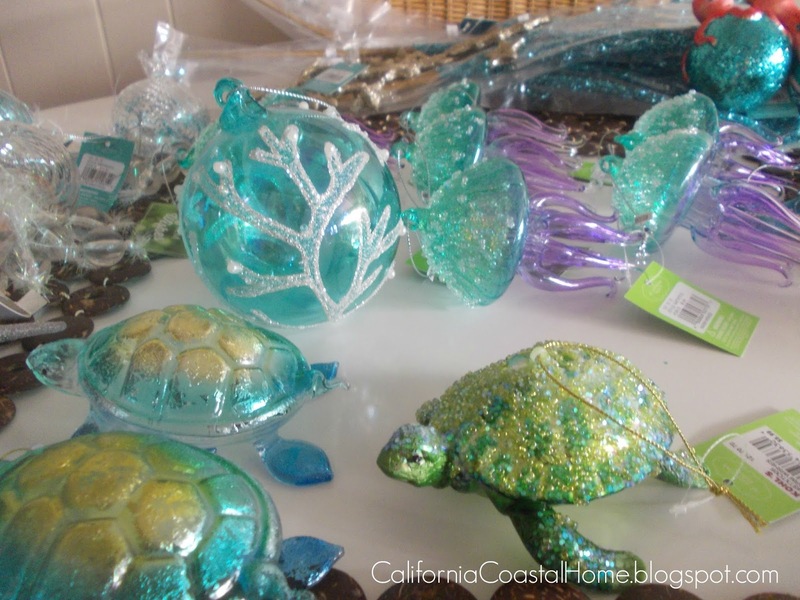 My search began last Christmas season after seeing their tree, I went on a quest to find some similar ornaments which were better in the price department. 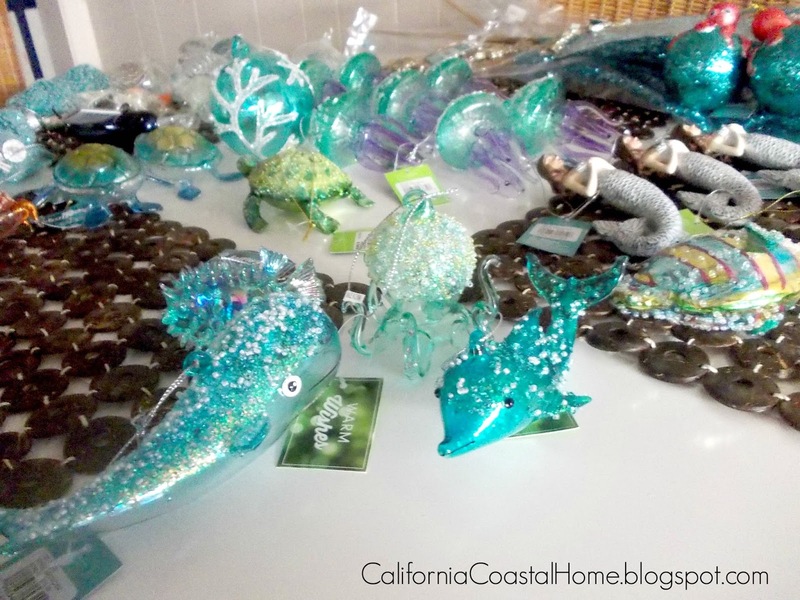 I found some blown glass turquoise seahorses at Kohl’s. 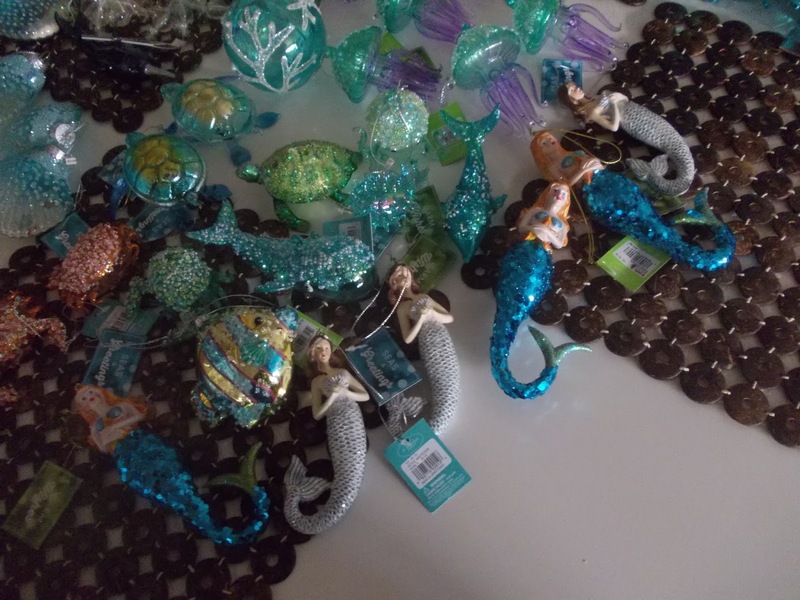 Everything had looked a little picked over by that time and I had a feeling that there might have been more aquatic ornaments to choose from that I’d missed out on. I made a mental note to shop earlier for the next Christmas season. I loaded up my cart and proceeded to the check out where I also earned some Kohl’s cash for my purchase. 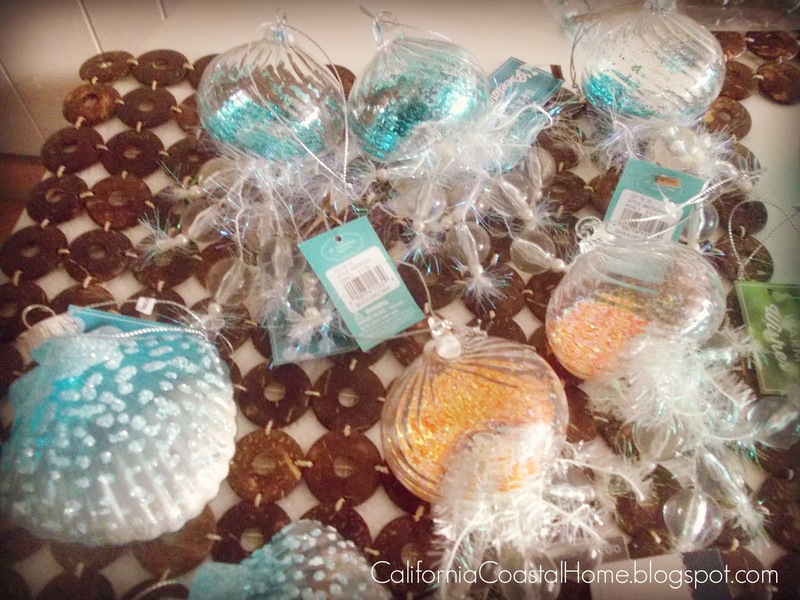 I returned a few times and used my Kohl’s cash to get a few of these ornaments for free! I found this totally cute narwhal at Target. It was around $5.00, not too bad. After a few days I decided to go back and buy some more and they were gone, drat! 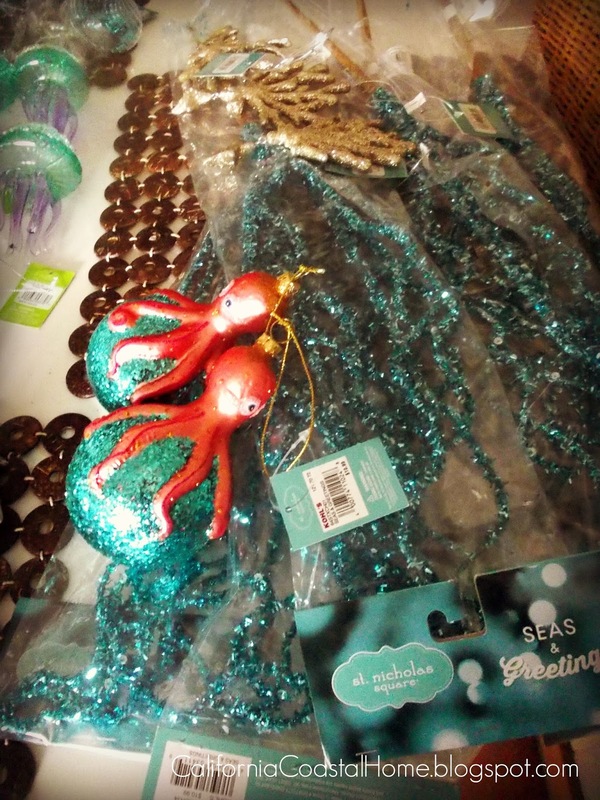 I also went to Hobby Lobby and I found some really cute ornaments for 50% off there as well. Although, I was again, a little late and they were already a little picked over. 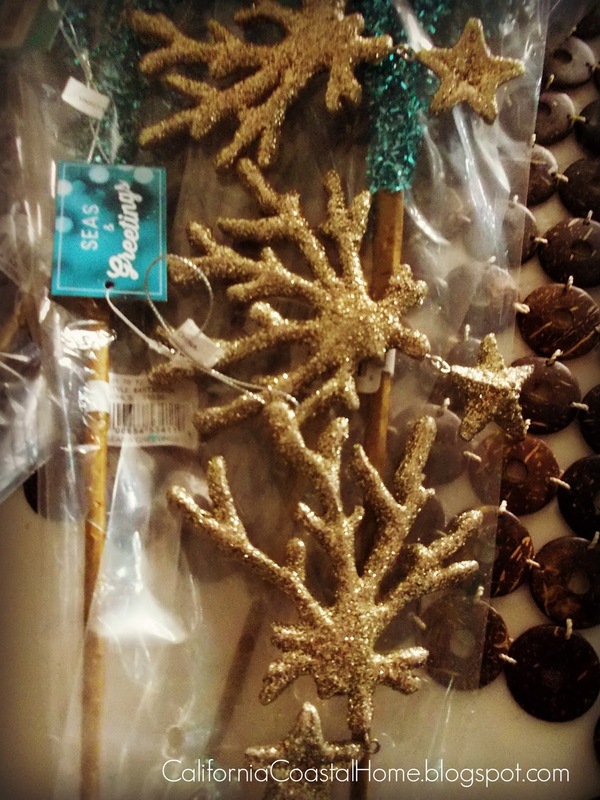 Next year, I’ll hit Hobby Lobby earlier, like I did with Kohl’s.